B. H. H Nation (2000BC, Blaka, Konsciouz, Risky Rhyme and Karopizzle)... Dopest rap/hip hop collective in Nigeria drop new fresh mixtape. BHH Nation Mixtape Vol. 2. 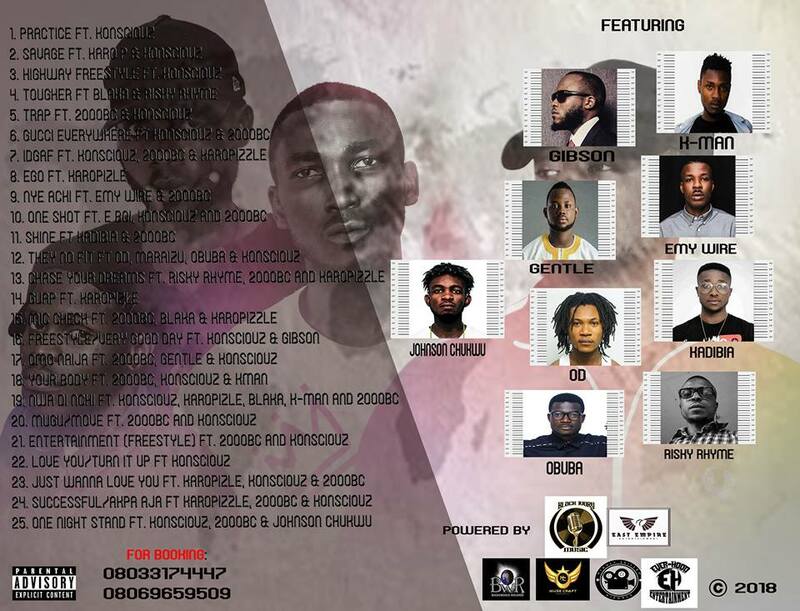 Featuring Cdrill, Gentle, Johnson Chukwu, Squeeze, Kman (k2kay), Obival and Emmy Wire. Anticipate!